Eliminate desktop clutter while placing three office essentials within easy reach! 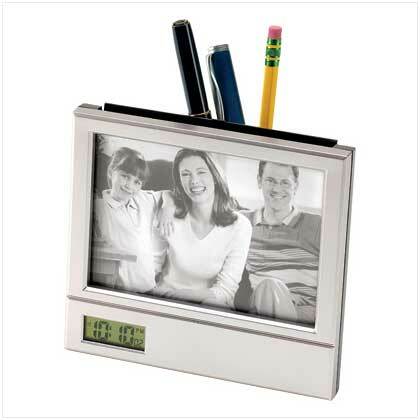 Handsome silver-finish photo frame has a digital clock and pen holder built right in for streamlined executive look. Holds 3” x 5” photo. Plastic. One AAA battery not included. 5 3/4" x 2 1/2" x 5" high. 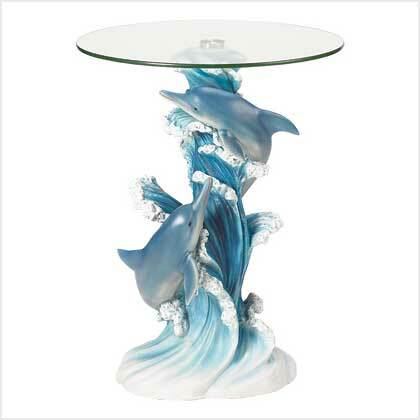 Retail Price: $12.95.